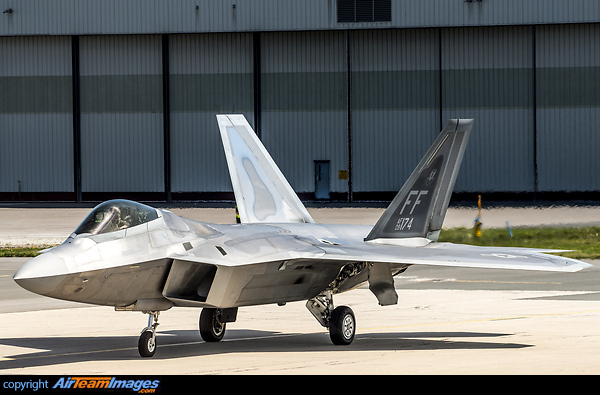 The F-22 Raptor is a fifth-generation multi-role fighter aircraft that uses stealth technology and is the newest fighter to be operated by the United States Air Force. The Raptor performs both air-to-air and air-to-ground missions with a sophisticated sensor suite allowing the pilot to track, identify, shoot and kill air-to-air threats before being detected. 2 x Pratt & Whitney F119 (39000 lbf) turbofan engines.